Ship Weight : 14.6 lbs. 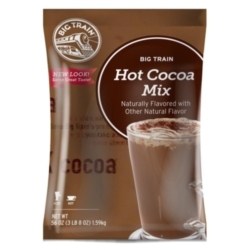 Satisfy serious cravings with a comforting cup of Big Train’s delectable hot chocolate! We craft our fat-free yet decadent classic Hot Cocoa Mix with a heavenly dose of real cocoa for rich chocolate flavor. We source the highest-quality ingredients and carefully blend them in a creamy base that delivers smooth texture. Real sugar balances the chocolate taste for a sweet finish. 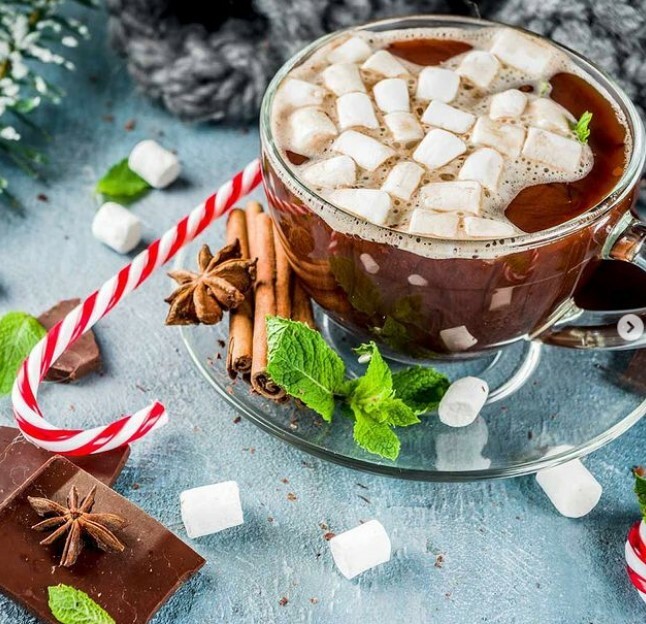 So cozy up to our hot cocoa and treat yourself to smooth chocolate flavor anytime! Customize with one of our flavored syrups. Add marshmallows or top with whipped cream for a truly decadent taste experience. Our fat-free Hot Cocoa Mix is full of rich chocolate flavor and contains no hydrogenated oils or trans fats. Kosher-Dairy certified. One case = 4 bags. $0.25 / oz. $0.24 / oz. $0.23 / oz. $0.22 / oz. For hot cocoa:Mix 1 scoop with 6 oz. of hot water. Stir & top with whipped cream.